Let’s dig into A Design Methodology For Reliable Software Systems published by Barbara Liskov in 1972. The focus of this paper is on how to make reliable software systems and what techniques can help us achieve that. Reliability here implies that a system works as expected under a given set of conditions. The solutions to these problems do not lie in the domain of debugging, which has no control over the sources of the problems. Instead, since it is the system design which determines how many test cases there are and how easily they can be identified, the problems can be solved most effectively during the design process: The need for exhaustive testing must influence the design. 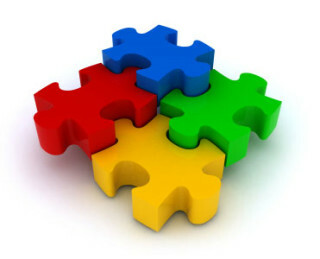 To tame the design of a complex system, we need to use modularization and divide the program into several modules (sub programs, later on referred to as partitions in the paper to avoid overloading the term “modules”) which can be compiled separately but are connected to other modules. The connections between modules are the assumptions which the modules make about each other. Although the idea of modularity sounds like a great tool for building large complex software systems, it can introduce additional complexity if not done right. The success of modularity depends directly on how well modules are chosen. The next question that arises: What is good modularity? We use two techniques to answer that: levels of abstraction to tackle the inherent complexity of the system and structured programming to represent the design in software. Levels of abstraction…provide a conceptual framework for achieving a clear and logical design for a system. The entire system is conceived as a hierarchy of levels, the lowest levels being those closest to the machine. Lower levels aren’t aware of higher levels and can’t reference them in any way. However, higher levels can ask lower levels to perform an action or for info. and iteration. Jumping using goto isn’t permitted. Back to the question that was posed earlier: how do we define good modularity? The next question that arises after we’ve figured out how to defined good modularity is — how do we achieve it in our design? The traditional technique for modularization is to analyze the execution-time flow of the system and organize the system structure around each major sequential task. This technique leads to a structure which has very simple connections in control, but the connections in data tend to be complex. Partitions supports abstractions that a system designer finds helpful when thinking about the system. Abstractions are introduced in order to make what the system is doing clearer and more understandable; an abstraction is a conceptual simplification because it expresses what is being done without specifying how it is done. System maintenance and modification: functions performing a task whose definition is prone to change in the future should be part of independent partitions. For example, functions which deal with connecting to a particular kind of storage back end so that if a different back end is used in the future, only functions in that partition will be affected. Now that we have some idea about how we can achieve good modularity while designing our system, how do we proceed with it? The first phase is to identify a set of abstractions that represent the eventual behavior of the system in a general way. The next phase “establishes the data connections between the partitions and describes the flow of control among the partitions”. are proposed, their utility and practicality are immediately investigated. exactly what its effect on the system will be. The next question one would ask is:** how do we identify when the design is finished**?